It may seem to be an unusual step in combating Islamist extremism, but Muslim students schools in Germany are currently being taught Islam as part of their curriculum. The move is in a bid to educate students on their religion, and that their faith is one that is open to reflection and self-criticism. The hope is that Muslim and non-Muslim students will see that Islam has a place in German public schools, and in modern Germany as a whole. Sputnik spoke to Professor Helen Fenwick, terrorism expert from the University of Durham, who has concerns however about how effective this scheme could be. Sputnik: Could this be an effective measure in preventing extremism? 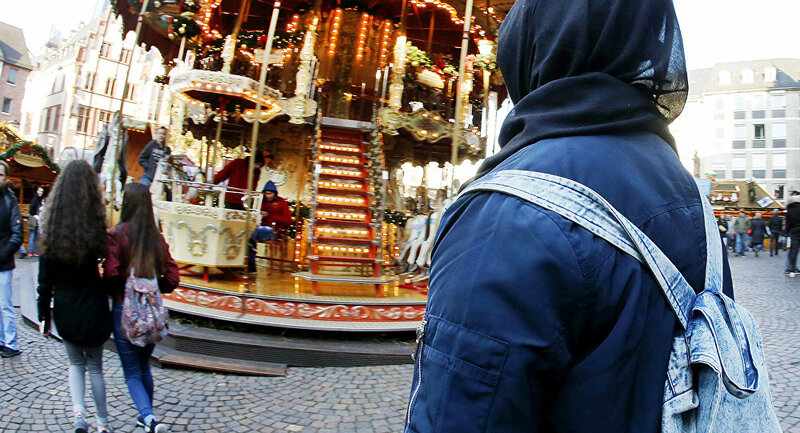 Helen Fenwick: Depending on exactly what's being taught it could have an effect in combating Islamic extremism, depending on the influences the children in Germany are already being subjected to. For example, if some children or teenagers are already partly down the line of radicalization due to online activity or due to people that they know in various contexts then I wouldn't have thought it would have much effect. But, if students haven't already been subjected to influences that might radicalize them then it could have some kind of beneficial effect in that it could seem as though that German schools are trying to understand Islamic concepts and etc. Sputnik: Do you think such a scheme could be implemented in the UK? Helen Fenwick: If they're literally segregated away from other students to receive this special teaching then I think that is quite problematic. I think some Muslim parents, perhaps some Muslim school governors, teachers might object as they might say that singling out Muslim students is problematic in itself as it stigmatizes them, it's implying that they might be more likely to engage in extremist behavior than people of other faiths. So on that basis I would have thought that it would be more likely to aid radicalization that combat it. Sputnik: What role does education play today in countering extremism? Helen Fenwick: It has an extremely strong role. Children go to school to become critical thinkers, to learn to be able to evaluate concepts and not just accept them blindly. And so therefore schools have a role to play in the sense of saying to students who are perhaps only subjected to one view, one world view or one faith view in the home, and perhaps to some extent in schools they have attended before, so they may have faced a very narrow world view. Which may have meant that they have not been used to criticizing that religion or about secular view on various issues. So that's why I think it's very problematic when some Islamic schools in the UK and in Europe generally have been found to be following a very narrow curriculum — mostly based on Islam and not fully following secular aspects of the national curriculum and not teaching students about other faiths. And that's been a problem which Ofsted has been trying to combat — particularly in the case of Islamic schools but some Jewish schools as well. Views and opinions expressed in this article are those of Helen Fenwick and do not necessarily reflect those of Sputnik.